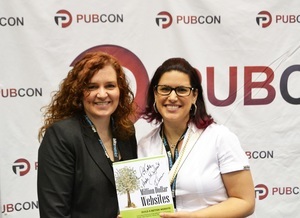 Rebecca Murtagh invested a full year to write Million Dollar Websites pulling insights and experiences from her over 20 years of of building, optimizing and marketing websites on the world wide web. She shares real-world stories to make E-Business strategies, website planning methods, optimization, and marketing methods practiced by the “web elite” relevant and meaningful for every professional invested in success of the website and the brand. 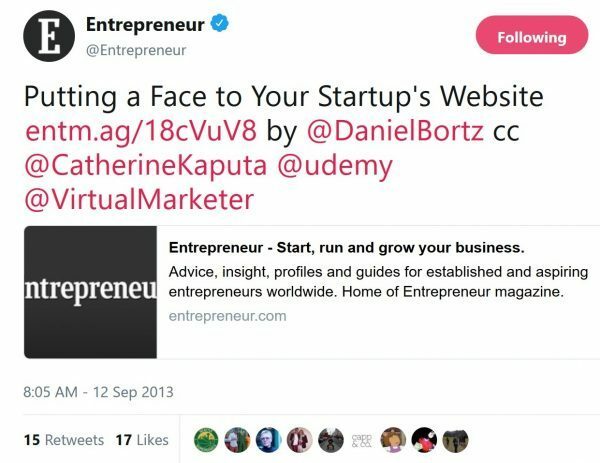 Enjoy 300 pages full of valuable insight like the Million Dollar Websites tips Entrepreneur Magazine featured in an Entrepreneur.com piece on “Putting a Face to Your Startup’s Website”. Why a “Million Dollar Website”? Whether you aspire to make a million dollars, or a billion dollars, or are just starting your business; it all begins with a solid foundation. After all, you have to make that first billion if you want to reach a billion. Rebecca Murtagh has lead the development of a $1 million dollar budget website, and will tell you with 100% certainty after working with organizations of all sizes across multiple industries, that no matter how big, or small, your website budget is, many of the same fundamental principles apply. You may not need a huge budget to build the ultimate website for your business or brand. But, wouldn’t you want to leverage the best practices of those who do have large website budgets to get the best results from your investment? Million Dollar Websites offers rock-solid guidance on how to build a high-performance website, including business-related considerations long before you even think about website design, how many pages you need, what content to include, or optimizing for search, conversion, or sales. How large your website budget is matters less when you become the master of the website planning process. Because most businesses create a new website, or redesign, every every two, three or more years, they naturally defer to what has become a complex, stressful and flawed process that often costs more than it has to and delivers less than it is expected to. Far too often, organizations find themselves find themselves the proud owner of a website that is incapable of supporting organizational goals. This often forces organizations to purchase supplemental services to compensate for what they expected to have been inherently part of the website they just invested valuable resources in building. 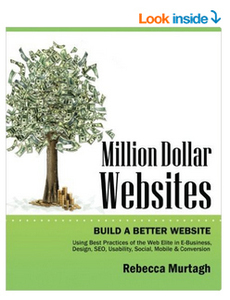 Million Dollar Websites is a must-read for any professional whose success depends, in ANY way, on a website. As technology changes, and expectations of your audience continue to grow, it is imperative that a brand put their best foot forward with your website. Your website must be ready to receive audiences 24 hours a day, 365 days a year. Million Dollar Websites provides unprecedented insight into the best practices used by the web elite to create the most effective digital environments on the internet. Confidently take ownership of the website process without having to learn to design, SEO, HTML or other techniques your website will require.. This book is based on many years of building websites of every size in every imaginable context from all perspectives. From $1 million dollar budgets to DIY hosted websites, as well as websites on Wix, GoDaddy, Square, WordPress, or any other platform; the Million Dollar Websites offers guidance that will be invaluable in building or managing your website. Whether you will be building the website yourself, working within an agency, new media company, internal marketing department, digital marketing firm, and adviser to clients who hire website vendors and manage internal web teams. This book will be a valuable resource for professionals of any skill level regardless of how large, or small the website budget is. Whether you are the president, CFO, COO, VP, designer, coder, SEO, blogger, marketer or entrepreneur, this book offers a comprehensive approach to compliment your natural expertise with methods proven to produce winning websites. With websites, what you don’t know can cost you…ALOT! Million Dollar Websites was written to help you avoid making common, costly mistakes and help you make decisions on some of the most important aspects of a website. For over 20 years, Rebecca Murtagh has been approached by business owners, C-level executives, directors, marketers and managers of organizations to “save them from themselves” , usually after making an UN-informed decision, encountering road blocks, budget-busters and utter disappointment after investing countless hours and dollars into building a website, only to have it fail to meet their expectations. Interestingly, regardless of size and scope, businesses and brands face many of the same issues and missing the same essential ingredients and processes required to master the website process. Million Dollar Websites reveals most common mistakes and how to avoid them. To be successful, your website must adapt to the landscape in which it operates. This often requires deployment of a project that will rally the involvement of internal and often external resources. There is one major error that most organizations make when beginning the website process. Learn how to confidently avoid this costly mistake and, in doing so, instantly increase your potential for results and ROI. Let’s be realistic, you have other responsibilities that demand your time and energy. You don’t have time to read all the books, articles, blog posts and watch all the videos needed to become a website expert. After all, learning HTML, SEO, SEM or SSL are probably not in your job description and probably not the best use of your valuable time. Whether you are the CEO, CFO, Director of Marketing, IT Manager, Designer, Writer, or an entrepreneur wearing all of the above hats, everyone wins when the website process is managed effectively and efficiently. Avoid the single most common and costly mistake made when building or redesigning a website. Make good decisions the first time, saving time, money and stress. Build a website that will be still be “current” by the time it launches. Create a website capable of adapting to incorporate best practices over time. Compete and win new customers through visibility, clicks and conversion, generating results and ROI. Or, maybe something new and unique! Regardless of what type of website you are building, is it safe to say that you will make a significant commitment to invest in a digital platform with the hope that it will promote specific behavior, deliver results and a hopefully a return on that investment? If the answer is yes, you cannot afford to wing it. Million Dollar Websites has been called “a must have book for any entrepreneur and small business owner” by one verified reader on Amazon.com. You will refer to Million Dollar Websites time and time again as your definitive ‘go to’ guide for planning, building and re-designing a website. Create a benchmark website without breaking the budget. Break the mold of how most brands approach building a website to improve ROI. Avoid the most common mistakes that derail website projects, every time. Effectively differentiate your brand from competitors online. Accelerate the build-out of the website, regardless of who is building the site (even DIY). Minimize the great disparity in proposal responses to RFP’s from vendors. Choose the best agency, website designer, developer, SEO, webmaster or team to help you build your website. Adopt best practices to improve website functionality, usability, visibility and conversion. Utilize communication to keep the project moving forward. Speak the same language as website design, development, SEO and content professionals without getting technical. Gain insight from proven methods in building a website that is both people and search engine friendly. Minimize the need to reinvent the website in 6 months to keep up with changing technology. Understand how some website design and development choices will impact visibility and user experience (UX) on tablets and mobile devices. Choose website features that add value and promote conversion. Balance owned, earned and paid media in the digital landscape. Assert best practices in digital asset ownership, content originality and copyright to increase authority. Integrate social media to improve visibility and engagement. Utilize static content, RSS/blog content to improve visibility, clicks and conversion. Apply best practices for review of data and analytics for objective assessment of website performance. Prevent your website from becoming obsolete. Apply what you learn to every website you touch for better ROI and results! Every business is unique, creating a multitude of challenges in identifying scope, budget, features, applications, design and development. Add to that the evolution of the social economy, and you have no choice but to put your best foot forward with an intuitive, relevant and powerful website. It doesn’t have to cost a million dollars, but it had better do more than serve as an online brochure if you want to compete for, and win, new customers. It no longer matters what industry you are in, how large your brand is, or how big your budget is. The website is a 24/7 representation of you, your brand, company, product, service, organization or idea. It MUST deliver. This book will pay for itself many times over. Get started today!